When searching for the best Carson personal injury lawyer, look no further than the Law Offices of David Azizi. You can contact us anytime at 800-991-5292 to receive a free consultation. We can advise you on the proper ways to receive a settlement check from an insurance company or individual who was negligent, causing injuries. 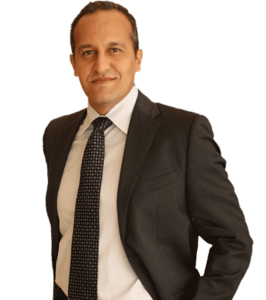 David Azizi has over 21 years of experience practicing personal injury law in southern California. He knows each and every step of the process to get your case in front of a judge and jury. Finding a respected, reliable and California board certified lawyer can be a challenge for some. Whether you have been in a car accideny or have slipped and fallen due to the negligence of a retailer, there are questions that must be answered. We take a very aggressive approach with getting your case to court. Unlike some law firms, we do not wait around and let the court system dictate the time it. We will fight and win for you. Question: My car was wrecked in the accident. Whay do I do until it is fixed? Answer: Having a car is vital today for work, doctor appointments, shopping or getting your children to school. If your vehicle is not able to be used after an accident, you have the right to be compensated for a rental. Question: I do not have the money to pay a lawyer. Do I have to pay you upfront? Answer: No, you do not. We work on a contingency basis, which means we are paid after you win. You do not have to pay us a penny until we win your case and you receive the maximum compensation for your injuries. Question: How long will it take to be compensated for my injuries? If you have additional questions related to the process of filing a personal injury claim, do not hesitate to reach out to us today. Carson, California, is surrounded by Interstate 405, Interstate 110 and Interstate 710. With this many major highways in and around the area it comes as no surprise that car accidents are going to happen. Unfortunately, some of these car accidents are due to the negligence of another driver or a car manufacturer. If you or a loved one has been injured in a car accident and you are seeking the best Carson, California, car accident lawyer, contact the Law Offices of David Azizi today. David can help you receive the maximum compensation for your injuries. With over 21 years of experience practicing personal injury law in Southern California, David Azizi can assist you with filing of a lawsuit. He has helped victims receive over $50 million for their injuries. Southern California is a hotbed for motorcycle rides who hit the road because of the nice weather. When a motorcycle gets into a major accident, injuries can be quite severe. Unlike getting into a car accident where the car has airbags and pieces of metal to protect the driver, there is very little to protect a motorcycle driver. After being injured in a motorcycle accident in Carson, California, contact David, an experience motorcycle accident lawyer, at 800-991-5292. Premises liability cases are often passed upon by law firms in southern California. At the Law Offices of David Azizi we are experienced with slip and fall and trip and fall cases. In fact, we have represented many clients that have received over $1 million for their slip and fall injuries. If you are seeking legal representation from a Carson, California slip and fall lawyer, do not hesitate to reach out to us today. As mentioned earlier, the number of major interstates in Carson, California means there are plenty of miles traveled through this part of Los Angeles County. On the news, California residents often hear of major pileups or big rig crashes on the 405, 110 or 710. Unfortunately, big rig truck crashes often mean there are a number of vehicles involved and some of the drivers or passengers of these vehicles can be severely injured. If you or a loved one has been hurt in a Carson, California, truck accident, contact the Law Offices of David Azizi today for the best truck accident lawyers in the area. If you have been injured due to the negligence of others in Carson, call David Azizi anytime at 800-991-5292, to set up a free case evaluation. David works hard to secure the maximum compensation his clients deserve.